Link up Whatever you want to share with us! 1.Link any Crafts, DIY projects, Your Etsy Store, Web store, Blog, Recipes,Giveaways anything you Made or Own! 2. It HAS to be Family Friendly. 3. 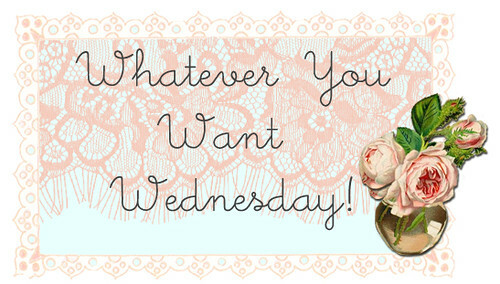 Link up one of my buttons to your side bar or post on your blog! If you are linking up Etsy or web stores Please Do NOT link up more than 2 Links.. For anything else other than Web Stores Please do not link up more that 4 links. Thank you! Thank you for hosting another great party! I also do apologize for the duplicate entry, but it was not on purpose. Linky tools hates my guts and never lets me do proper linking. Please delete the one with the Linky image. Sorry about the inconvenience! Oh there are some absolutely fabulous projects & items linked up this week! Thanks oodles for hosting dear Keren! Wow, what a great party. I linked up a pin board I made, it turned out so cute. Check it out if you have the time, and thank you for having me! I am really very worried!